I read once that recovery is like a huge, beautiful, elaborately wrapped gift that when you open, contains thousands of other, smaller, beautifully wrapped gifts. Over the course of my career as a mental health and substance use disorder therapist I’ve been fortunate to witness many individuals achieve their recovery goals. I continue to have the opportunity to learn and grow with my clients through high’s and low’s and truly appreciate clients allowing me to share their experiences. Perhaps the most valuable thing I’ve learned is that there is no “one template to follow” in recovery and that each client’s experience and outcome is unique to them. What works for one person may not work for another and sometimes, if a person is not ready, nothing seems to help. No matter what “avenue” a person takes, daily commitment and effort towards recovery is essential to achieve long-term success. I often tell my clients the old adage that “nothing worth having in this world comes easily.” This is especially true of recovery. So, what are these “avenues” and how do you know which one(s) are right for you? With the help of an addictions specialist, developing an individualized recovery plan is both achievable and possible. Below, I will outline some of the different options we often incorporate into plans and how you may access some of these resources. The most commonly known peer support groups are Alcoholics Anonymous (AA) and Narcotics Anonymous (NA). 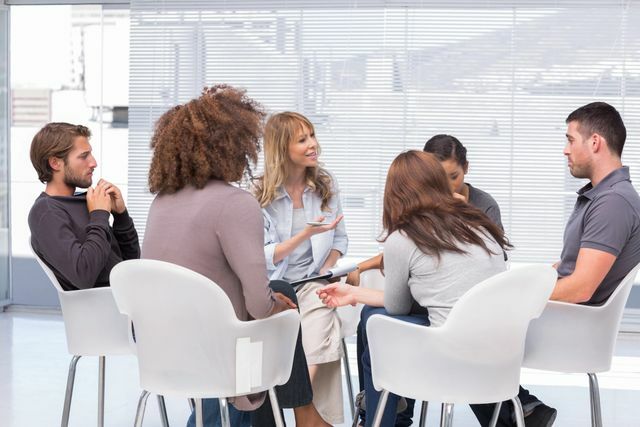 These peer support group models focus on the “12 Steps” and require that individuals attend meetings and have a “sponsor” (someone who has achieved significant recovery time and who acts as a mentor and support in the recovery process). Other, perhaps lesser known peer support group models, are Celebrate Recovery (a faith-based group model) and Self-Management and Recovery Training (Smart Recovery), a model which incorporates management of mental health issues in conjunction with addiction. Several of these models have online meetings in addition to their face-to-face delivery and choosing which model works best for you often takes knowing your individual preferences, values, and openness to the principles of the model. These are structured groups focused on assisting individuals with the development of recovery-related skills. These groups are required to meet three times per week for three hours per meeting and are facilitated by individuals with licensure or specialized training in the field of addictions treatment. Individual therapy is also provided as a part of this “bundled” service. This service is not always covered by insurance, but many insurance providers recognize the importance of this service and are beginning to cover this form of treatment. This form of therapy involves an individual, couple, or family attending therapy in an office with a licensed therapist. It is often combined with other forms of support such as the aforementioned Peer Support Groups, Psychiatric Medication Management, and/or Medication Assisted Therapies (MAT’s) to enhance an individual’s recovery resources. Therapists work with clients on achieving and maintaining recovery efforts based on the client’s recovery goals. These services involve a person meeting with a medical doctor who evaluates the potential benefits of psychiatric medications in the recovery process. Doctor’s prescribing certain medication assisted therapies (such as those that treat opioid use disorders) are required to take additional training in the area of addictions medicine in order to prescribe. Medication Assisted Therapy (MAT) is especially helpful for those struggling with physiologically addictive substances. These services are often combined with another structured service such as SAIOP or Outpatient Therapy to achieve the best outcomes. Detox is utilized when an individual stops using a substance and needs medical monitoring to assist with their bodies adjustment to removing the substance from their system. Detox can occur at either the outpatient or inpatient level and may involve prescription medications or medication assisted treatments to be safely facilitated. This form of treatment is often utilized to assist with detox from a substance or when an individual is struggling to maintain cessation from a substance in their primary environment. Early recovery skills are reinforced and clients are often under the care of a treatment team that involves doctors, nurses, and counselors. An individual’s time is highly structured and often involves various treatment groups and individual therapy. Timespans for this form of treatment are 7 to 30 days. These are often called “halfway houses”, but also refer to long-term residential treatment programs that may treat an individual for (sometimes) up two years. These communities may involve treatment across a variety of life domains and assist an individual with employment and access to healthcare treatment in addition to addressing behavioral health and substance use disorders. The amount of accountability in these programs is high and individuals may be required to submit routine drug screens in order to remain in the community. Level systems are often in place to encourage individuals to achieve greater freedom related to how they spend their time and determine the types of responsibility they hold in the community setting. These are several examples of “Avenues to Recovery” an individual may access in order to achieve their substance use disorder treatment goals. This list is by no means exhaustive and according to where you live, there may be other options available. Individuals often find that they may access one or more of these avenues throughout their recovery process or that they may require re-engagement in a previously utilized avenue in order to sustain their recovery efforts. Whichever path proves the most helpful at the time requires commitment and a desire to succeed, in addition to the supports built into the avenue itself. If you’re looking to take the first step towards recovery, seeking direction or assistance from a Licensed Clinical Addictions Specialist is recommended in order to determine the best course of action. About the author: Natalie Gomes MA, LPCS, LCAS is an individual counselor in Wilmington, NC. She also offers telehealth (aka online therapy) to North Carolina residents. Does your anxiety feel overwhelming? Call her today at (910) 216-0194 for a free telephone consultation or to schedule an intake assessment and let’s start working towards life feeling more manageable for you.